Pretty paper cups, featuring the illustrations from the ‘Guess How Much I Love You’ book. 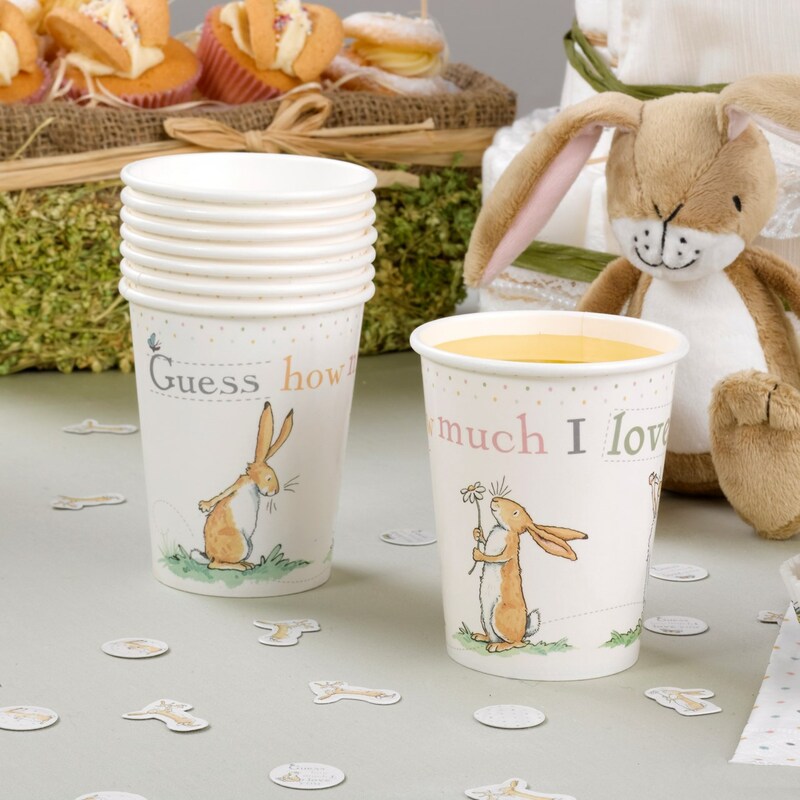 Ideal for baby showers, Christenings and first birthday parties, your guests will be enchanted by these distinctive cups. A lovely way to channel the heart-warming sentiment of this magical book for your child’s special day. Each pack contains 8 Paper cups.